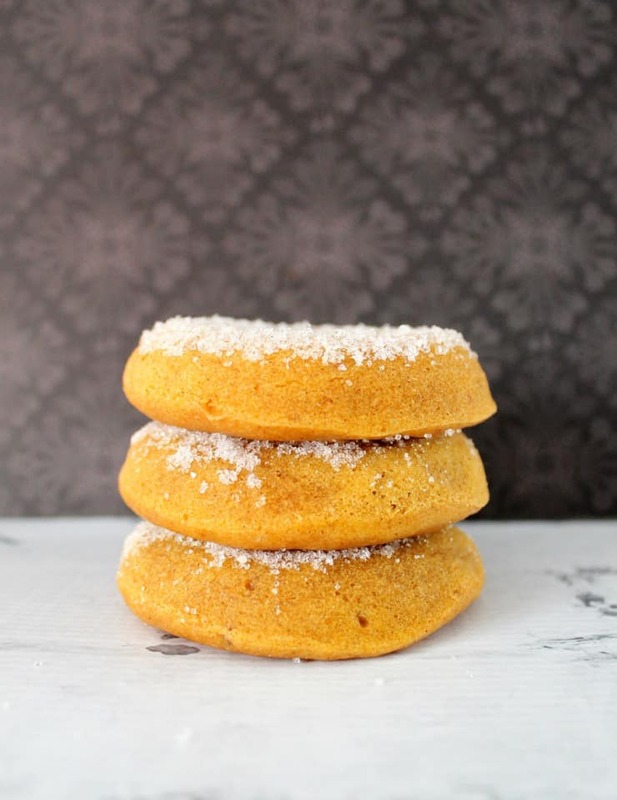 Yeah, you read that right: sweet potato doughnuts. Wait, wait, wait, I see some of you moving your mouse towards the back button, but I’m going to need you to stop right there. Sweet potatoes seem to be one of those things that people either absolutely love or loathe. And not that long ago I was firmly in the latter category (Sweet potato marshmallow bake at Thanksgiving? Yeah, I think I’ll pass). I couldn’t understand the draw to sweet potato fries or anything that involved a casserole dish and a sweet potato. My best friend, on the other hand, was comfortably sitting on the other side of that fence. I’m pretty sure she’d happily try anything with sweet potato in the title! But it all changed for me when she took me out to an amazing little bakery where she, of course, purchased a sweet potato doughnut. I’d be lying if I said there was no nose crinkling in disgust on my part, but after a little poking and prodding, she finally convinced me to try a bite (the delicious smell wafting over the table from that doughnut didn’t hurt either). Although that experience didn’t completely change my attitude towards sweet potatoes (I’ll still pass on the fries and the casseroles), I’m going to have to eat a little humble pie and say that sweet potato, in moderation, is delicious! 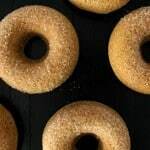 So even if you’re skeptical of sweet potatoes, I encourage you, no wait, I dare you to give these baked doughnuts a try! 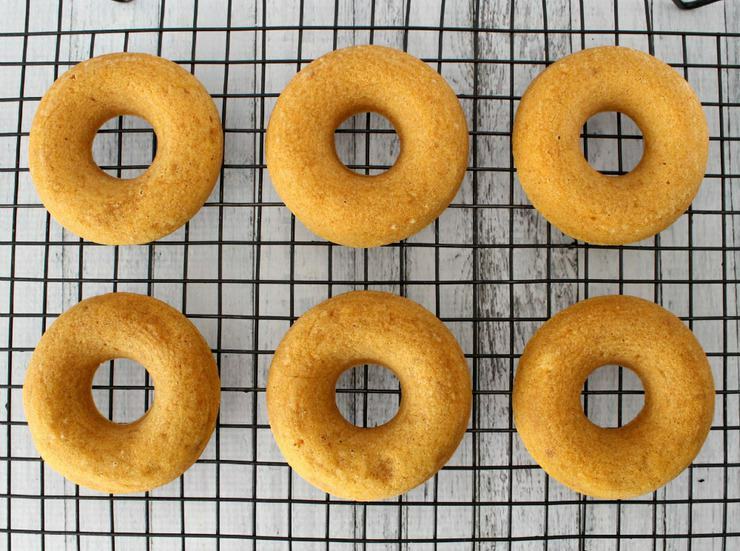 Before we dive right into making these doughnuts, I’d like to take a second to talk about making sweet potato puree. I promise it’s super easy! To make the puree, prick some holes in your sweet potatoes with a fork (this keeps them from exploding in your oven) and bake them at 350*F (175*C) for 1-2 hours, depending on the size. You know they’re done when they feel soft (I usually test this with a fork). Be sure to put something under your sweet potatoes while they bake as they do have a tendency to leak sweet potato juice all over the place. Once they’re cool enough to handle, peel off the skin. It should practically fall off. Break them up a little, and then use a blender to make them into puree. 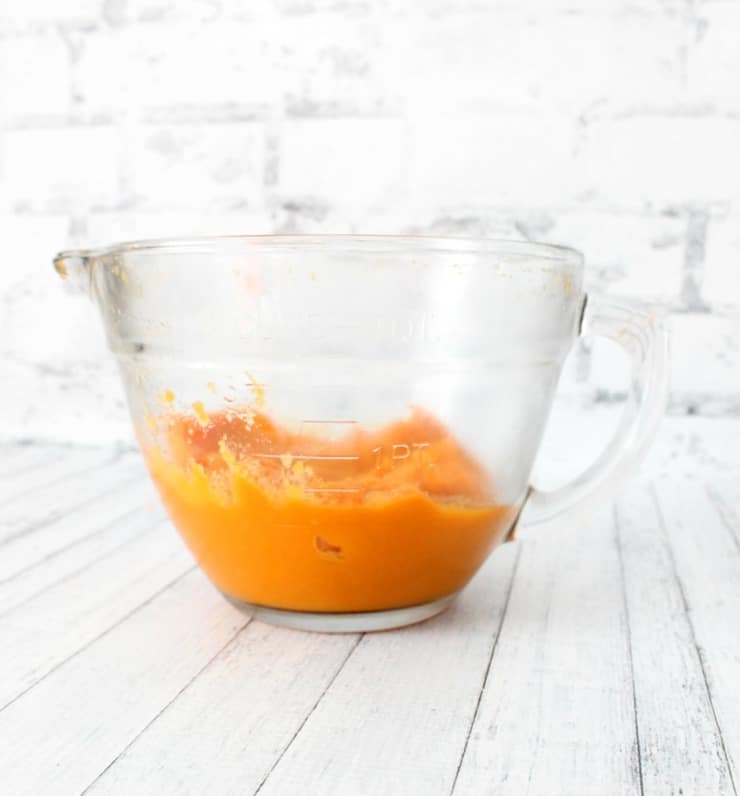 If you want to make sure you have a nice, smooth puree, you can strain your puree through a sieve afterwards. I found 3 small sweet potatoes made about 1- 1.5 cups puree. Sweet potato puree can be made several days in advance, and stores very well in the refrigerator. Now, onto the doughnuts! In a large bowl, whisk together your dry ingredients (flour, sugar, cinnamon, ginger, baking soda, and baking powder) until they’re well mixed. In a separate bowl, whisk together you wet ingredients (melted butter, egg, milk, sweet potato puree, and vanilla extract). Make sure to work out any lumps! Pour your wet mixture into your dry mixture, and whisk until a thick, lump-free batter forms. 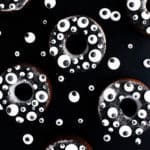 Pour (or better yet, pipe) your doughnut batter into a well-greased doughnut pan, and bake at 350*F (175*C) for 9-11 minutes, or until a toothpick inserted into the doughnuts comes out clean. 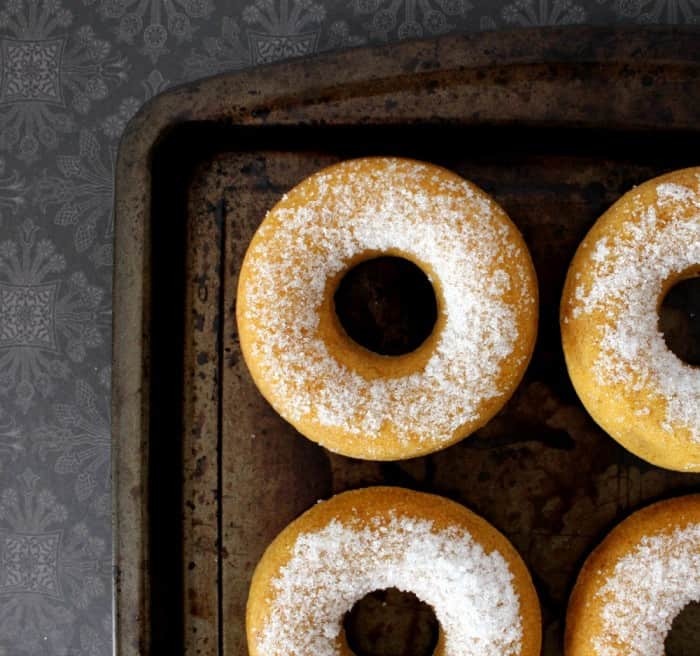 Let your doughnuts cool for about 5 minutes before turning them out onto a cooling rack. 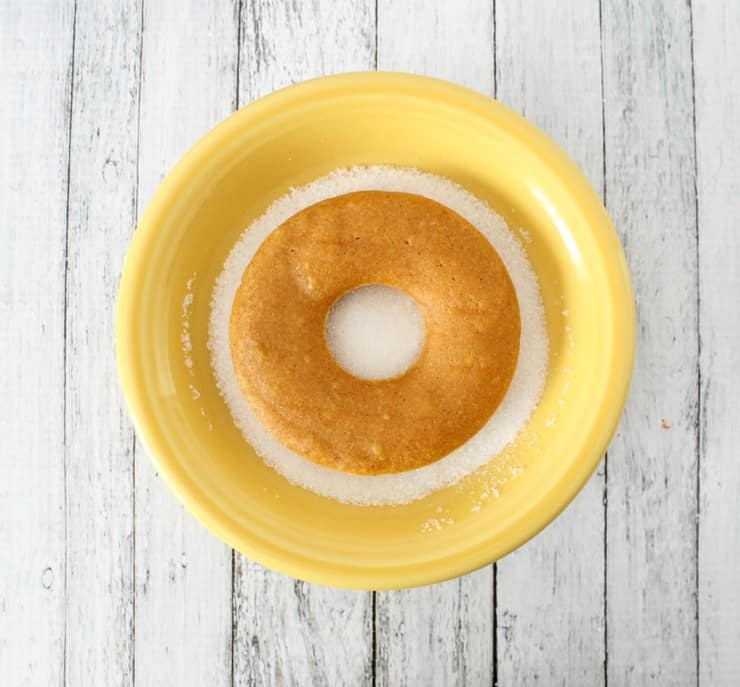 Once the doughnuts are cool enough to handle, dip the side that baked down inside the pan (this is usually the moister of the two sides) into a little sugar to garnish. Or don’t. Seriously, these are pretty delicious either way! Sweet potatoes have always fallen into the category of “foods I definitely don’t like,” until I recently found that I do, in fact, like them. What’s a food that you’ve been convinced you hated, but later discovered you actually enjoyed? Join the conversation in the comments below! 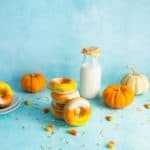 I have never tried a sweet potato doughnut before! They look and sound delicious! I fall on the side of love for sweet potatoes. No need to back off this page, your recipe looks awesome. I love that they are baked too! 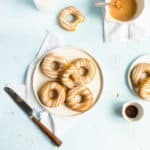 I’ve recently started co-hosting Foodie Fridays and would be honored if you would come by and share your fabulous recipe. The party starts Thursday 9 pm EST. Hope to see your there! I’m in the ‘sweet potato lovers’ team and soo want to try this recipe! The best part is that the doughnuts are baked! Yum yum! I could totally go for one…maybe two of these 🙂 yummy! Made these today and they are very yummy. 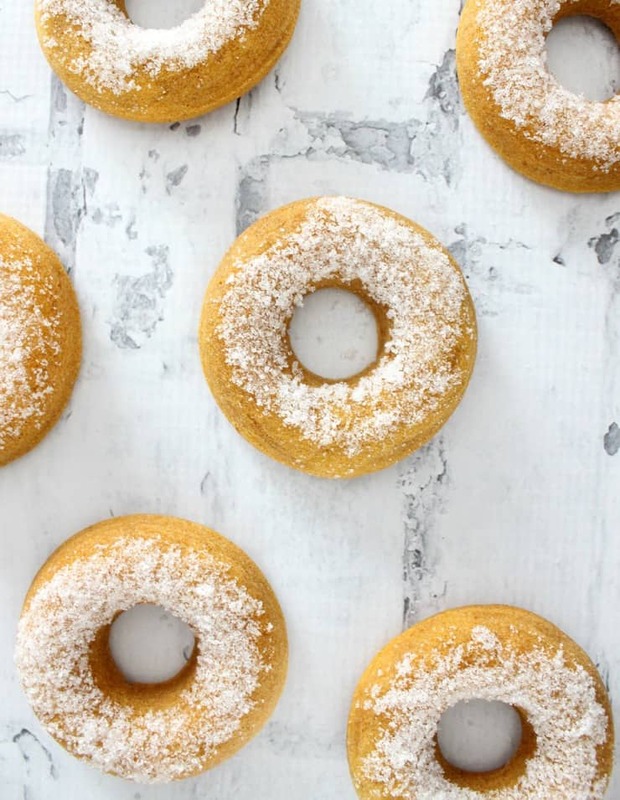 Very soft and moist donuts. Will be making them again. 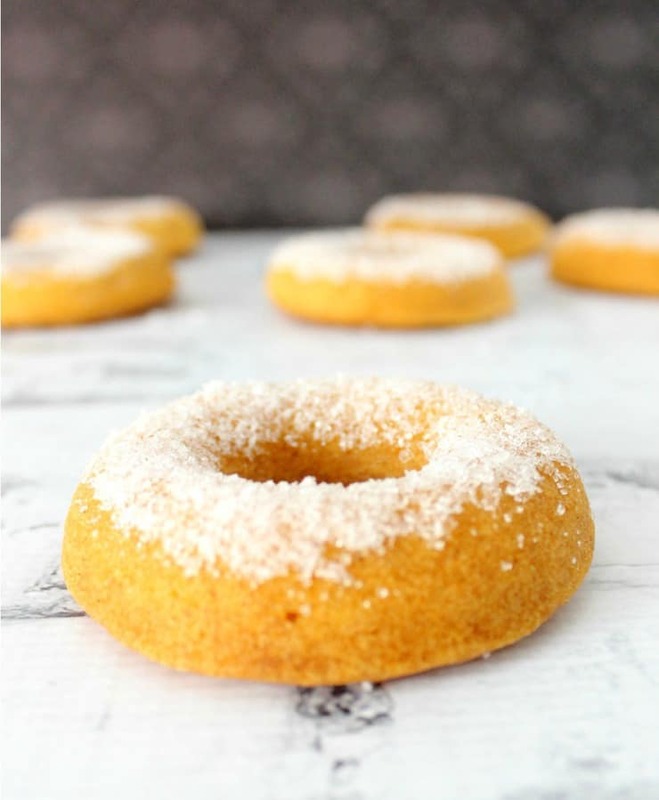 I’m making these right now and the batter seems to be very thin… too thin to form donuts. I’m adding a lot more flour and crossing my fingers!